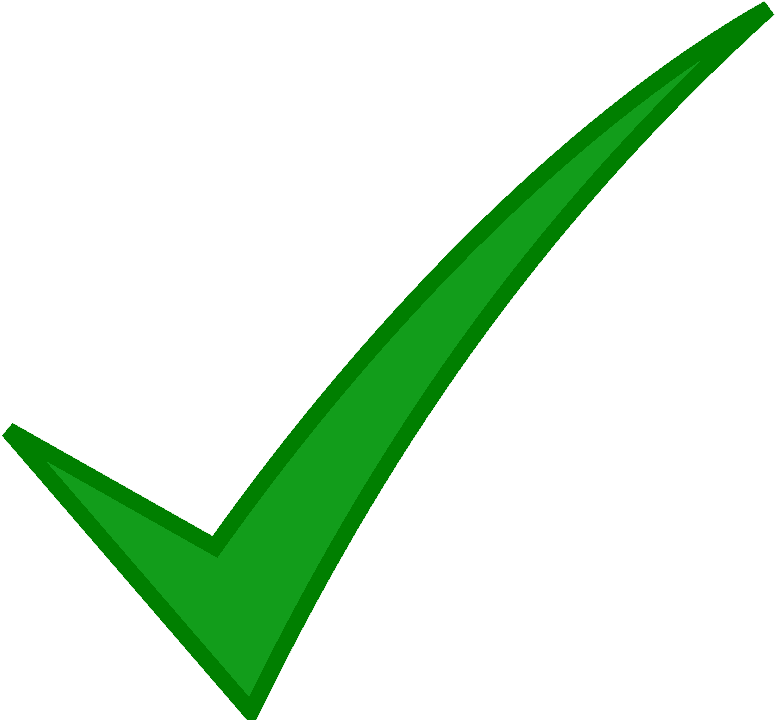 Need help selecting Your Perfect Chamber? Monoplace Chambers are designed for treating one patient at a time. Monoplace Hyperbaric Oxygen Therapy (HBOT) Chambers are pressurized up to 3.0 Atmospheres with 100% Medical Grade Oxygen. The patients can also breathe Medical Grade Air during an Air Break or through a Mask System. The Tekna Monoplace Chambers are the safest and most comfortable chambers available on the market today. Tekna Chambers offer an unparalleled ease of operation and patient satisfaction. If you practice Hyperbaric Medicine you should take a close look at the advantages of the Tekna brand chambers. Multiplace Chamber Models for Sale. Multiplace Chambers are designed for treating multiple patients. Multiplace Hyperbaric Oxygen Therapy (HBOT) Chambers are pressurized up to 6.0 Atmospheres with Medical Grade Air. The patients breathe 100% Medical Grade Oxygen through a Hood or Mask System. The Tekna Multiplace Chambers are the safest and most comfortable chambers available on the market today. Tekna Chambers offer an unparalleled ease of operation and patient satisfaction. 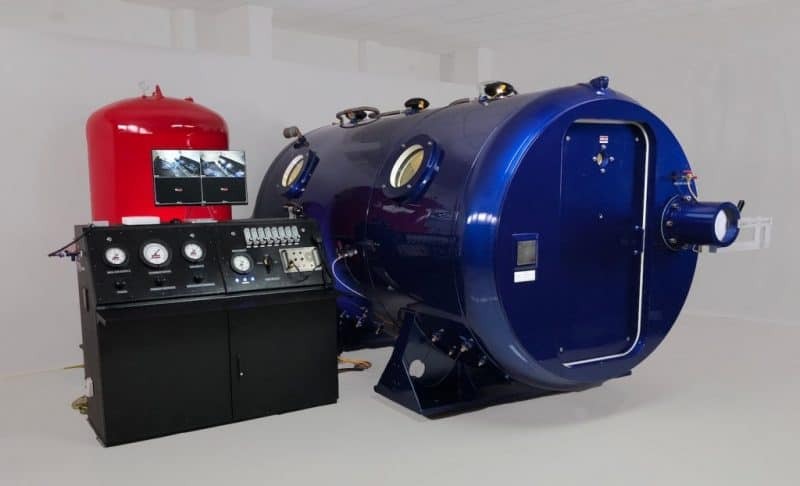 Are you looking for more than just a Hyperbaric Oxygen Therapy Chamber for Sale? Tekna does a lot more than just sell chambers. 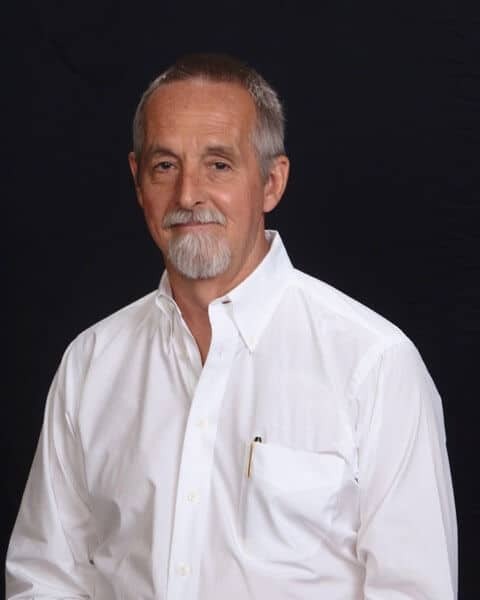 Tekna has over 100 years of combined Hyperbaric Research and Knowledge in the fields of Hyperbaric Medicine, Hyperbaric Therapy, and Successful Hyperbaric Clinic Operations. If you are a small clinic or a large hospital we can meet your Hyperbaric Therapy needs. Tekna offers pre-sales planing including Chamber Site Suitability Review, Hyperbaric Clinic Layouts, Hyperbaric Oxygen Layouts, Point of Connection Drawings, Building Code Reviews, and Fire Marshal Compliance. Tekna offers Professional Instillation, Setup and Testing, and Complete Operational Training for Your specific model of Tekna Chamber. Tekna also offers Complete Annual Maintenance, Service, and Testing to make sure Your Tekna HBOT Chamber is always functioning at optimum performance. Architects, Contractors, Agents, and Distributors Welcome! 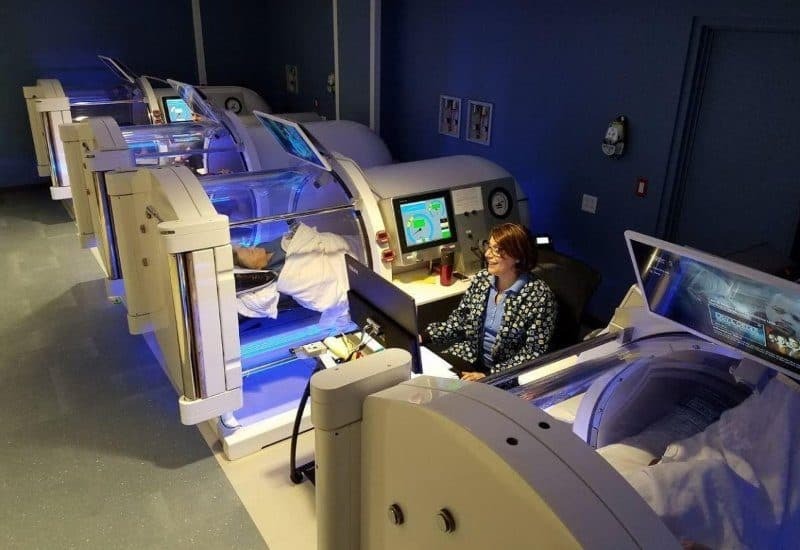 Are you designing your clients ideal Hyperbaric Clinic or Hospital? Do you need technical specifications and floor plans for a Chamber System with all of the supporting equipment? Do you want to know the correct answers to the questions the Fire Marshal is going to ask? Let Tekna help you! We work with Architects, Contractors, and Agents on a daily basis to make adding a Chamber to your plan simple and painless. Hyperbaric Medicine, also known as Hyperbaric Oxygen Therapy or HBOT, is a medical treatment that delivers 100% oxygen to a patient’s pulmonary system while they are within a pressurized Oxygen Therapy Chamber. The patient is breathing oxygen at levels far greater than the 21% which is found at a normal sea level atmosphere. This increase of the partial pressure of oxygen at the cellular level can accelerate the healing processes and assists in the recovery from numerous indications. HBOT side effects are minimal and rarely last very long. 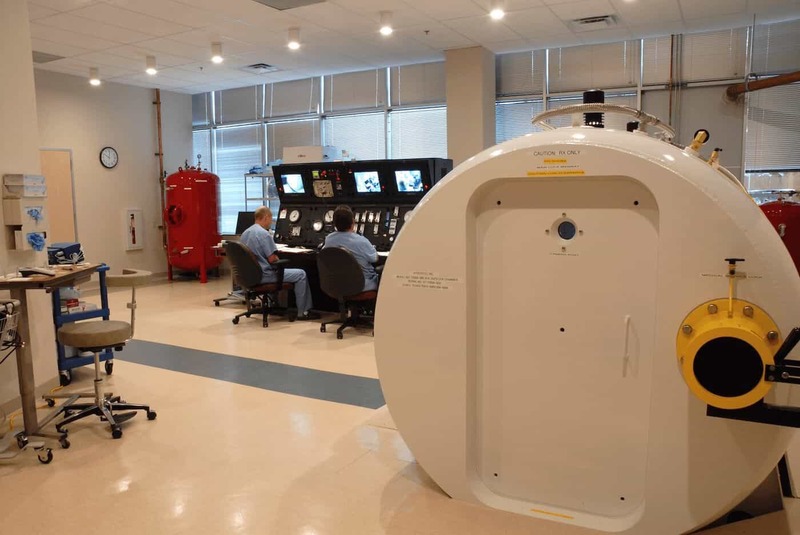 Hyperbaric Medicine is not a cure for most indications but it has demonstrated to increase immune capabilities, assisting patients with problems ranging from chronic wounds to complex disabilities. Our chamber was built and installed in 2002. It’s a workhorse. We’ve never had any problems. The Tekna Chamber is operator friendly and has all the safety bells and whistles. The patients think the Tekna Chamber looks cool and they love the roominess. Our Hyperbaric Chamber is fantastic! Better than we had hoped for! Not you'r typical clunky chamber. Everything about the Tekna 7200 says high end medical equipment. In the Tekna Chamber, our patients consistently comment how comfortable their dives are. All of our patients love the Tekna chamber. It is so comfortable and roomy. Our chamber is unstoppable. It’s in it’s 15th year of operation, and we’ve never had a down day. Since our first order of three Monoplace Chambers in 2000 we have purchased over $1 Million dollars of HBOT Systems from Tekna. The Hybrid 4000 is the nicest Monoplace Chamber I have ever seen. The six person Multiplace system that you build for us in 2009 continues to be reliable and cost effective to operate. We have been extremely pleased with the quality, workmanship, and reliability of our two Model 6000 Multiplace Chambers. The Tekna 4000 is incredibly easy to use. Learning how to use it took no effort at all. Very nice!